This one-pound bag of gourmet 100% Kona Private Reserve Coffee is comprised of the largest, more flavorful Kona coffee beans. It is grown with the utmost attention to quality at every stage: hand-picked, air dried and small batch roasted to perfection just prior to shipping. 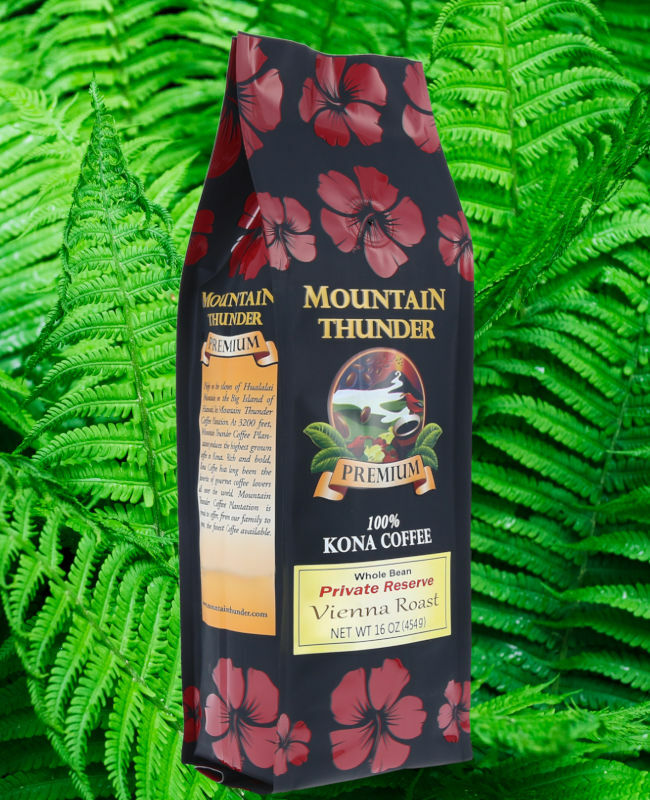 Available in our American, Vienna, French, Brown and Tan, or Black and Tan Roasts, this is the coffee to buy to experience the best flavorful and aromatic Kona coffee.